Celebrating the Birthday of Prophet, does Allah forbid it? 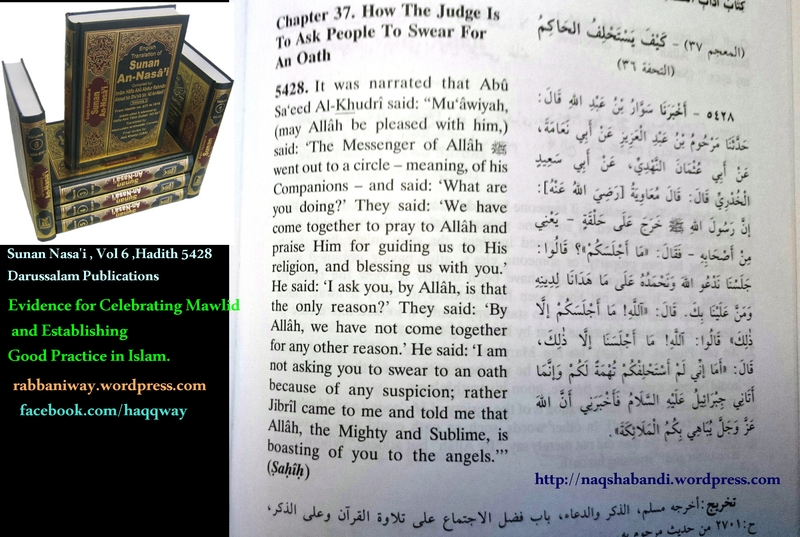 Did Prophet forbade celebrating his Birthday, by means of permissible acts? If not, then why some misguided people and innovators behaving like Jews? A deed is looked at according to Quran, Sunnah, Hadith, Consensus of the Scholars (Ijma) and Analogy of the Wise men (Qiyas) for it’s validity in Islam. How do you use Paper money and plastic money? How do you use prayer mats. how do even do Sa’yi in air conditioned Safa and Marwa, how do you stay in a hotel after entering in Ihram?How do you pay for Quran ? How do you Pay for Visa for Hajj? Is it allowed? How do you pay for Zam Zam, how do you eat sitting around a dining table?,with fork and knife? Go and learn Sunnah Hajj, Sunnah way of eating etc then come to speak against mawlid! Mawlid Celebration is a righteous deed. A good hadeeth transmitted from the musnads of the two imams, Ahmed bin Hambal and Al- Darimi, with a good chain of authorities. According to the hearts of the Main body of Muslims and their leaders (Scholars of Ahlu Sunna Wal Jamah, the Caliphs and Sulthans) Mawlid is a good practice celebrated with permissible acts. There is no evidence that Prophet alaihiswalathu wa salam forbade celebrating Mawlid! So we see that the excessive questioning and arguing people have no Faith!, rather their faith about to lose in the near future. As the Hadith states! You are the misguided and strayed people whom Prophet alaihiswalathu wa salam comparing to Jews. Another evidence is you Kharijs does not love Ahlul bayth but have malice against Ahlul bayth of our time and in the previous time. “They will question thee what is permitted to them, say: “The good things are permitted to you . . .” (Al-Maida 4). So Why are you forbidding that which Allah has not forbidden for you? So how can someone forbid establishing a good practice of which no part of it is forbidden by Allah? What Allah has forbidden is calling Muslims as “Kafir,Mushrik, grave worshipers etc! Leave your own Haram and Kufr then come to discuss about innovations and other things! The Prophet (alaihiswalathu wa salam) went to Masjid on Camel or horse. But some fools thinking it is a sin and bidha to go to Masjid on a bicycle or car!, to go for Hajj in wheel chair is bidha, Hajj will not be accepted, because Prophet (s.a.w) and companions did not use cars ,flights or wheel chair, though he traveled to heavens on Buraq flying! So understand the immature idiotic people (Kharij) who appear time to time to cause distension and mischief in the religion and slander Muslim ummah! This filthy people are none but Kharij, defend Islam from Kharij, this is the way of Prophet (S.a.w),companions and ahul bayt! Their ideology is Wahhabism and it’s previous ways, the worst among them is those who practice this ideology in extreme and then they kill Muslims after accusing shirk and kufr on Muslims!. They appear from Najd -East of Madinah and cause fithna from east to West! This is enough for any intelligent one to understand and take wisdom from. The above hadith is one of the clearest evidences for the impressibility of the Mawlid, and clearly shows the companions gathering together to thank Allah (Most High) and give thanks for blessing them with the Prophet (Allah bless him and give him peace). 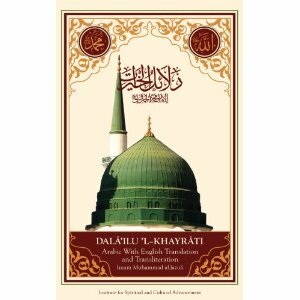 Are the Mawlid gatherings not what is being described in the hadith? It doesn’t say they gather to celebrate on 12th Rabi ul Awwal, but they gathered to celebrate the life of Prophet (saw) in a normal day! make it permissible to celebrate this two reasons in any day! Allah says in 2:143 Thus We have made you [true Muslims – real believers of Islamic Monotheism, true followers of Prophet Muhammad SAW and his Sunnah (legal ways)], a Wasat (just) (and the best) nation, that you be witnesses over mankind and the Messenger (Muhammad SAW) be a witness over you. SAHIH BUKHARI Narrated Abu Huraira: Allah’s Apostle(alaihiswalathu wa salam) said, “Whoever prayed at night the whole month of Ramadan out of sincere Faith and hoping for a reward from Allah, then all his previous sins will be forgiven.” Ibn Shihab (a sub-narrator) said, “Allah’s Apostle died and the people continued observing that (i.e. Nawafil offered individually, not in congregation), and it remained as it was during the Caliphate of Abu Bakr and in the early days of ‘Umar’s Caliphate.” ‘Abdur Rahman bin ‘Abdul Qari said, “I went out in the company of ‘Umar bin Al-Khattab one night in Ramadan to the mosque and found the people praying in different groups. A man praying alone or a man praying with a little group behind him. Wahhabis and other misguided groups take single hadiths out of context, we can say in some Hadith Prophet (s.a.w) cursed innovators, but in other Hadith it is said: good innovations and the traditions (sunnah) of companions are accepted, as their understanding of religion is better. We can see that Sahaba celebrated Mawlid in the time of Prophet (s.a.w) and Umar (R.A) a rightly guided Caliph established 20 Raka Organized Taraweeh in Ramadan. So it is clear that the Wahhabi interpretations of Bidha is misguidance and stupidity! Mawlid Nabi, Zikr Halqa, Salawat congregations etc are practiced by Sahaba. 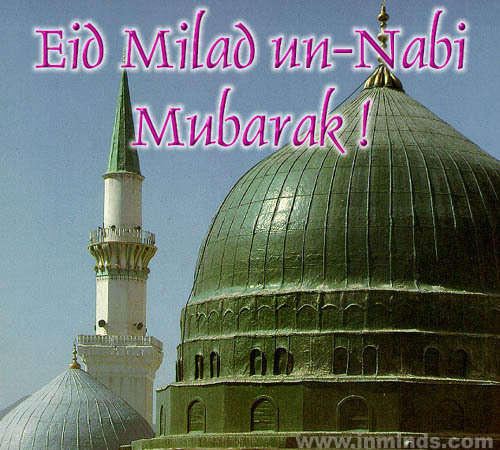 As for Mawlid Nabi, all the activities part of it are: reciting salawat, poems on Islamic history, feeding people, marching with Zikr and Salawat, discourses on the life of Prophet (alaihiswalathu wa salam) and Sahaba. None of this acts are prohibited in Islam. When all these Sunnah acts are combined in the day of Prophet’s birth, it becomes a good practice , for Muslims rejoice and gather together. The innovators, however, conducting Annual Ijthima (gatherings) for their own innovated groups, their own lectures and , and innovated diploma and degree certificates in Islam, and innovated preaching (Dawah) practices, innovated universities in Islam,that have no evidences in Quran and Sunnah!!! Abu Bakar Siddiq (R.A) was rich companion of Prophet (s.a.w), they did not open a college or University and gave diploma or degree of Islams to Muslims!. So understand who are real innovators!. When you say: “Inna Swalathi na nusuki, Wa Mahyaya Wa Ma maathi lillahi Rabbil Aalameen”, if you claim you follow Salafs or other Imams, you should know whether you are following what they established! Did four Imams of Madhab , gave PhD or Degree certificates to their students? Ibn Taymiyya gave Diploma of Islam to his students?. So Dajjal is confusing you!, Dajjal’s people are here, who are funded and supported by Pharaohs of this time, who does not adhere to the Law of Allah! When scholars taking company with today’s Pharaohs, Nirmod and Qaroons then know that it is not the Straight Path!. So Wake up Jahil Muslims! Follow the way of the Prophets, I cannot see the Sahaba applying for funding from Mushrikeen in Makkah for Dawah of Islam!, nor Moses (A.S) from Firaun, nor Abraham (A.S) from Nimrod! You people are fooling and are fooled by your scholars! I am warning people from all sects and all religions, you left the ways of the Prophets of God!, great punishment is approaching you! Fight God if you can, God Almighty is turning your own enemies against you, nations against nations and tribes against tribes! The biggest tribulation (Armageddon) is coming!, and all that you built as Masjid, madrassa, diploma, fame etc by the help of today’s Qaroons, Namrods , Firauns and Yazeeds, that are going to perish with you! This is my final warning, insha Allah! I call misguided scholars and their filthy followers to this challenge: “Which act in Mawlid Nabi is an evil practice”? If you prove one evil practice in the Mawlid Nabi celebration of pious Scholars, then I will become your slave! If you cannot prove (which I am sure you cannot), it is disgrace up on this filthy and evil generations that are against main body of Muslims and their Imams. You must make fatwa against Saudi National Day, celebrating the salafi conferences and commemoration of wahhabi clerics etc! So not get fooled by the enemies of Prophets, Sahaba, Ahlul Bayth and Awliya Allah. 108:3 Indeed, your enemy is the one cut off. They have cut off from the rope of Allah, they have some books, some external scholarship learnt by their ego (brain/intelligence) and they are confused about it too!. Because the ego is always confusing and corrupting!